The ability to send and receive information, from just about anywhere in the world, is far more valuable than anything you will be able to get out of a so-called “Survival Radio”. 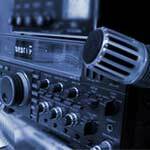 When the power grids go down during a natural disaster, it’s often HAM Radio operators who become the only line of communication available. 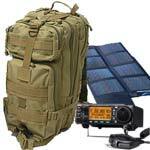 In fact, during Katrina the early responders all relied on HAM Radio Operators to relay information out of the city. It played a vital role in search and rescue efforts and without it we likely would have seen many more deaths.